Slip on these comfortable Crocs™ for all-day support and style. 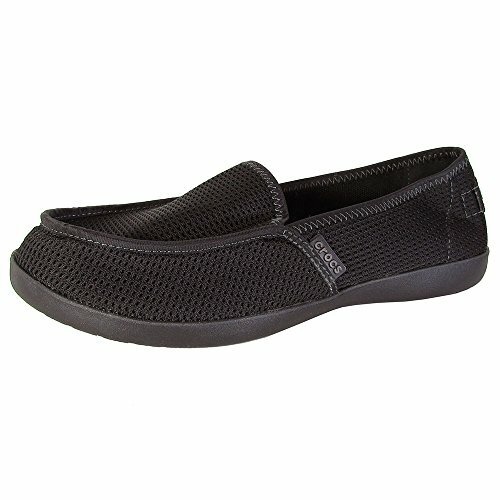 Stretchy textile upper with Crocs logo at side and heel. Easy to clean, odor-resistant material. Forefoot expands to provide plenty of room. Croslite AG+™ insole offers enhanced arch support and shock absorption. Smaller footbed nubs decrease chance of irritation.